Tara Wallis-Finestone has left CW-affiliated KTLA-TV (Los Angeles) to join CBS Los Angeles stations KCBS-TV and KCAL-TV as assistant news director. Wallis-Finestone was an executive producer at KTLA and managed the afternoon newscasts from 1 p.m. to 6:30 p.m. She helped relaunch their website and helped design the newscast additions at 2 and 3 p.m. for the station as well. 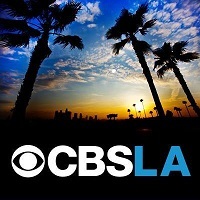 Follow CBS Los Angeles on Twitter.